When the national spirit soared high, and when the development of the language and the forms of versification had reached a point which made possible the most triumphant literary achievement which that country has seen. With the advent of the Renaissance, a new and vital drama emerged in England in the 16th century. 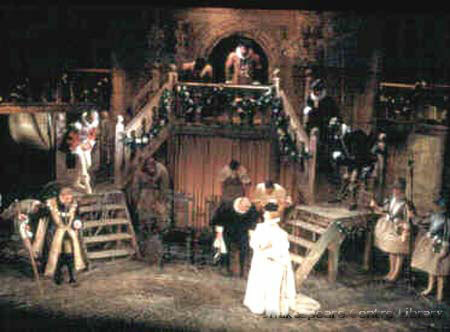 The tradition of the interlude developed by John Heywood and others, blended with that of Latin classic comedy, eventually producing the great Elizabethan comedy, which reached its highest expression in the plays of Shakespeare and Ben Jonson. Shakespeare, whose comedies ranged from the farcical to the tragicomic, was the master of the romantic comedy, while Jonson, whose drama was strongly influenced by classical tenets, wrote caustic, rich satire. The works of William Shakespeare were divided into three categories – comedies, tragedies and histories. 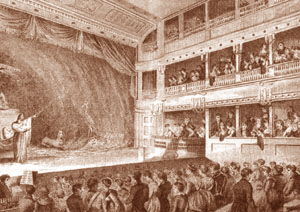 Comedy Plays brought massive audiences to the theatre. Globe Theatre actors specialized in performing in comedy plays. The most famous comedy actors of the Elizabethan era included Will Kempe, Richard Tarlton, Robert Armin and Lawrence Fletcher. These comedians not only required acting skills but were also expected to be able to sing and dance. 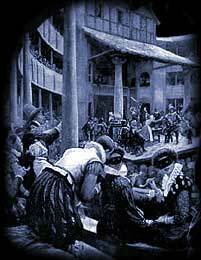 Plays at the Globe Theatre usually ended with songs and dance. There were two species of comedy which particularly disturbed prevailing political and religious mores in Elizabethan England: satire and Ovidian comedy. While the political bite and poisonously bitter aftertaste of satire constituted a pointed assault on the alleged ills of a corrupt society, Ovidian comedy, in contrast, had no agenda. Precisely because it eschewed moral and political purposes in favour of eroticism and myth, Ovidian comedy, although it proved more difficult to contain than satire, was as widely condemned. Purged of all moral and political aims, this striking absence of purpose was perfected in the epyllion, rendering it not only a purer form of comedy, but also a supremely and irreducibly literary one. The argument prosecuted here is that the epyllion of the 1590s – though it has suffered considerable critical neglect and misapprehension – is a complex and supremely important moment in the history of literary comedy. In the field of comedy, Shakespeare’s supremacy is hardly less assured. From the nature of this kind of drama, we do not expect in it the depth of penetration into human motive or the call upon our profounder sympathies that we find in Tragedy; and the conventional happy ending of Comedy makes difficult the degree of truth to life that one expects in serious plays. Yet the comedies of Shakespeare are far from superficial. Those written in the middle of his career, such as “As You Like It” and “Twelfth Night,” not only display with great skill many sides of human nature, but with indescribable lightness and grace introduce us to charming creations, speaking lines rich in poetry and sparkling with wit, and bring before our imaginations whole series of delightful scenes. “The Tempest” does more than this. While it gives us again much of the charm of the earlier comedies, it is laden with the mellow wisdom of its author’s riper years. “The Alchemist,” representing the work of Ben Jonson, belongs to a type which Shakespeare hardly touched-the Realistic Comedy. It is a vivid satire on the forms of trickery prevailing in London about 1600-alchemy, astrology, and the like.